With these services, we can guarantee the longevity of your septic tank. Without hiring us for septic tank plumbing every 3 to 5 years, you risk losing your tank to overflow, cracks, and breakdown. Septic tank plumbing is more affordable than you think and can also save you money and hassles down the road. Without septic tank cleaning services for your Sumner septic tank, you risk losing it to cracks, debris blockages, overflow, and general deterioration. A thorough, annual septic tank cleaning can go a long way in guaranteeing the value of your property and tank for many years to come. Why Should Sumner Residents Choose Us for Septic Pumping? This way, you can see if they’re the best fit for you. You can always pick us. We promise 100% customer satisfaction and we are always available for septic pumping in Sumner. It’s important that you trust the team you hire and that you know exactly what work will be performed. 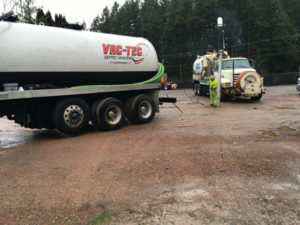 Our septic pumping will get your septic tank back to like-new status, ensuring easy waste removal and plumbing use for your home or business. 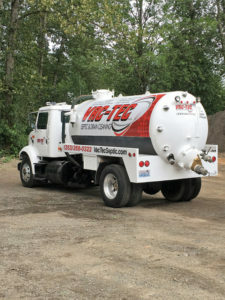 Is it time for a septic tank pumping or septic tank cleaning for your Sumner home or business? Call Vac-Tec, LLC at Tacoma – (253) 777-4887 Seattle – (206) 339-0039 Olympia – (360) 338-6686 North Dakota – (701) 566-0045 if you’re ready to schedule your consultation.